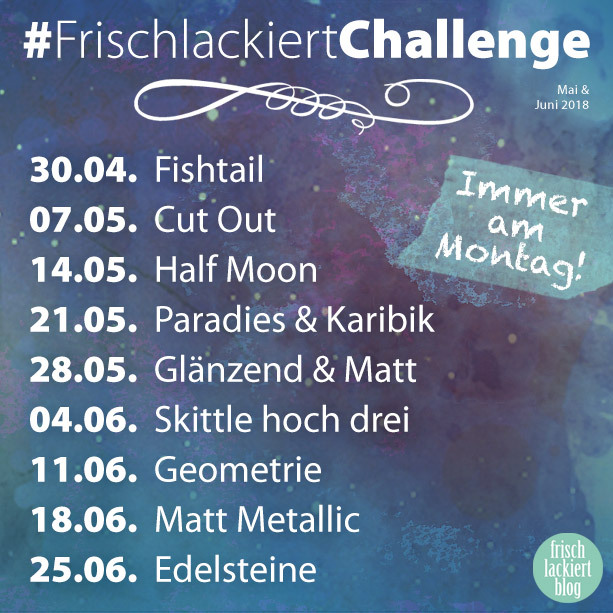 Skittle to the power of three is this week's theme of the Frisch Lackiert Challenge, and it means that you should use at least three different colors for this mani and paint every nail differently. 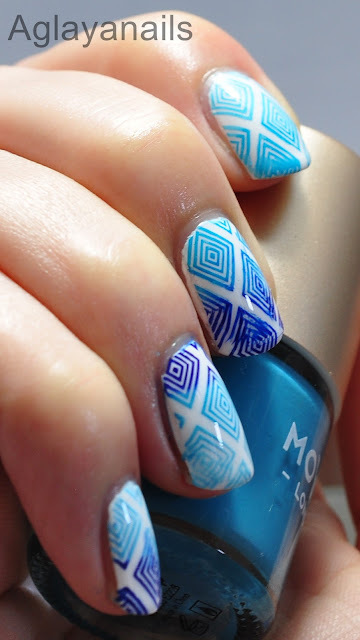 I used three different shades of blue for a summer feeling. 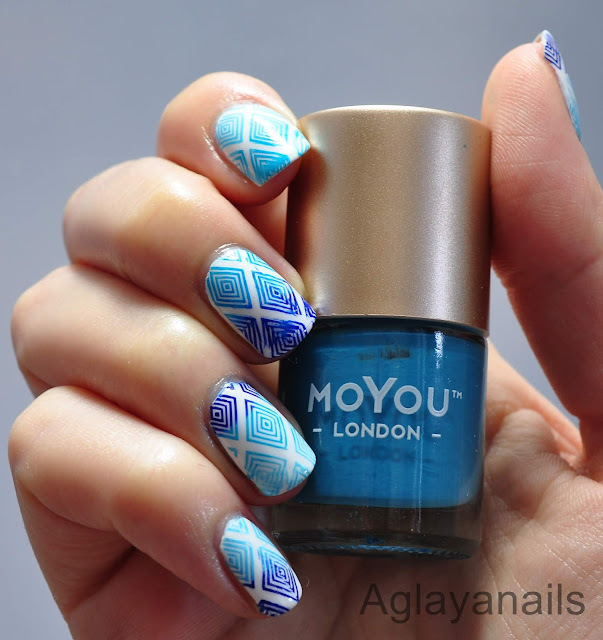 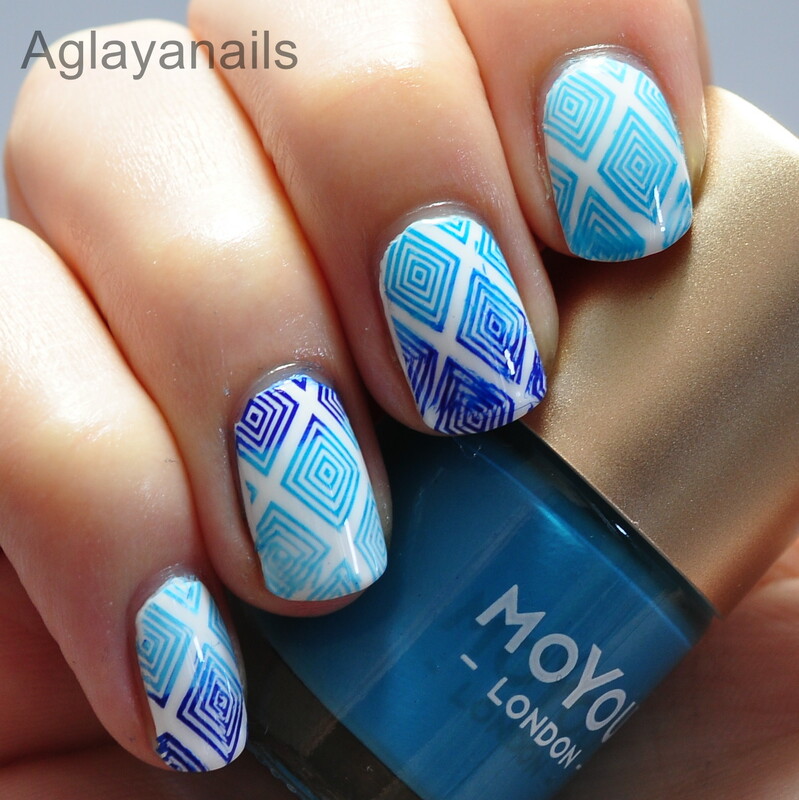 For this gradient stamping mani I used Essence Wild White Ways (two coats) as base, Born Pretty Store BP-L006 stamping plate, MoYou London Surf's Up and Beach House plus Born Pretty Store blue stamping polishes. 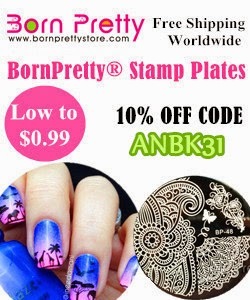 For each nail I used two of the stamping polish, except for my ring finger, where I used all three. 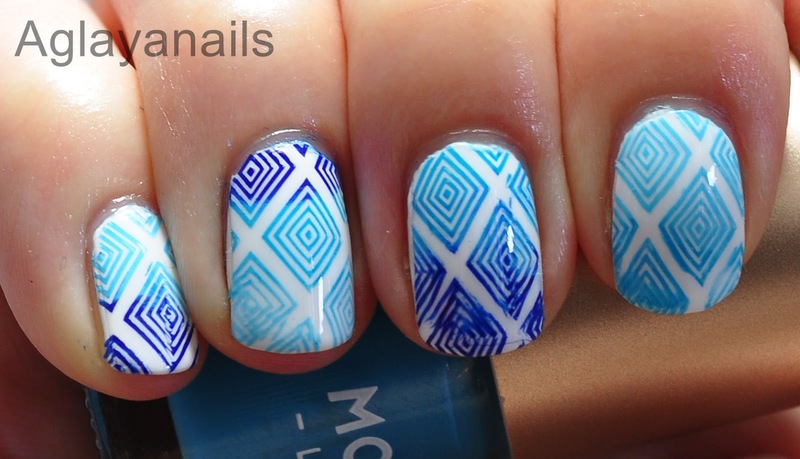 So I got a different color combo on each nail. 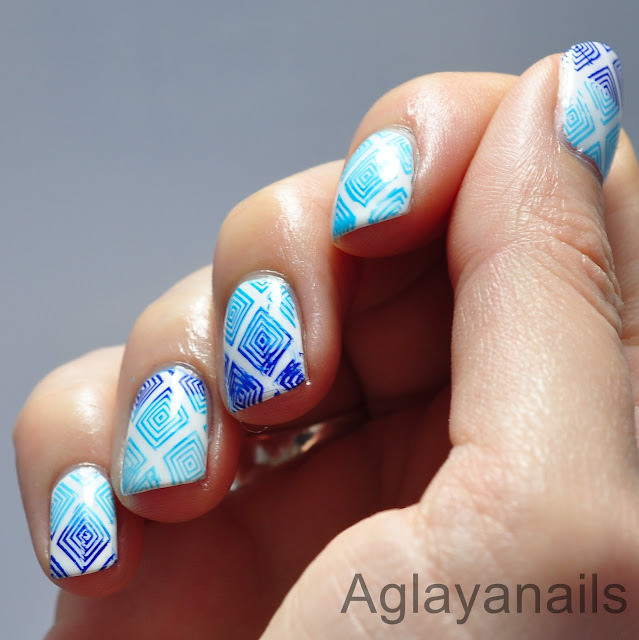 One coat of KBShimmer Clearly On Top sealed the stamping.